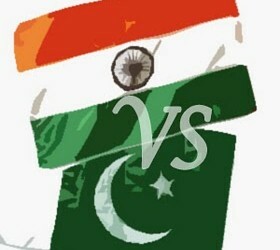 Karachi, The fans of Pakistan and India are waiting for June 15 as the cricket match between Pakistan and India is going to be started on that date. Pakistan has lost all hopes in the tournament as it has lost very first two matches and it will go to play the last match with the group team, India. Pakistan has good record of accomplishment in Champions Trophy and it has already won many matches in the tournament but its record in the ICC World Cup match is not brilliant, as Pakistan did not win any match against India. The fans are praying for the victory of Pakistan and if it wins then they can enjoy this tournament a little bit.